The condo rental market in the Greater Toronto Area tightened in the third quarter with units listing for an average of just 12 days before being snapped up. 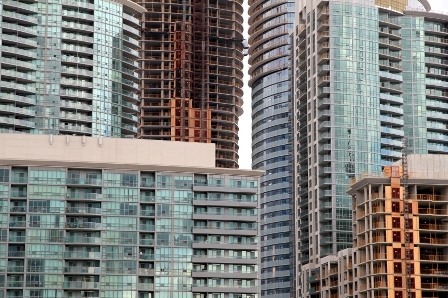 Condo market analysis firm Urbanation says that listings of rental units in the GTA were down 13 per cent in the quarter as new units in projects dropped 30 per cent. There were 9 per cent fewer condo rentals through the region’s MLS in the period and Urbanation’s experts believe the new mortgage rules coming into effect Monday will tighten the market further. “The rental market has become severely undersupplied, which is likely to worsen following the latest round of mortgage insurance rule changes” said Shaun Hildebrand, Urbanation’s Senior Vice President. “Notably higher qualification standards for first-time buyers and reduced credit availability for investors should put even more pressure on the market, even as more rental units are being built” added Hildebrand. The tight market has of course impacted rents with the number of units renting for more than the asking price doubling from the third quarter of 2015 and rents up 9 per cent to $2.71 per square foot. That equates to an average rent of $1,986 per month. In the City of Toronto rents are higher with the average breaking the $2,000 barrier in the third quarter of 2016 to reach $2,044 ($2.85 per square foot).